Experience mountain golf at its finest. Picturesque, player-friendly and a great value, Tahoe Donner Golf Course is ideally situated in the High Sierra and open to the public. Opening date is scheduled for May 24, conditions permitting. 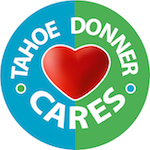 Tahoe Donner Golf Course, voted “Best Golf Course in North Lake Tahoe and Truckee,” is a premier public course located 45 minutes from Reno/Tahoe Airport, 15 minutes from Lake Tahoe and only five miles from downtown Truckee. This 18-hole, par-72 championship course is known for its scenic fairways and fast greens that wind through towering pines. The natural surroundings work in tandem with the course itself offering challenging yet fun opportunities for strategic playing and thoughtful club selection. Play packs offer exceptional value and our junior golf programs are ideal for the kids. Wrap-up your day on the deck at The Lodge Restaurant & Pub for a true mountain golf experience.